High trading volume is one of the main factors of successful development of any trading platform. 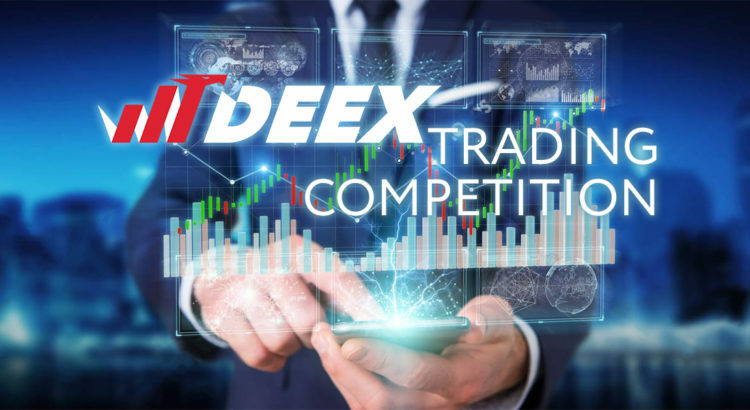 But every trader is allowed to increase it.So, today we are announcing a new competition for all DEEX traders. The prize fund of the contest is 300 000 of deex tokens. The rules are very simple. 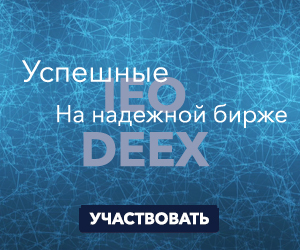 In the period from November 21, 2018 till February 21, 2019 (3 months) you need to purchase/sale of deex in any trading pair available on the DEEX Exchange. We set a maximum turnover limit of 200,000 tokens. If you will be able to exceed it – the main prize will be yours. If not, you should not be upset. We have prepared 10 prize places, and the reward will depend on your turnover. Only traders who have less than 3000 deex tokens on their account are allowed to participate in the contest. Operations on withdrawal from the account for the participants of the action are not allowed during the entire period of its holding. The prizes will be distributed as follows. 1 place (for turnover of more than 200 000 tokens) – 100 000 deex tokens. 2nd place (for turnover from 180 000 to 200 000 tokens) – 70000 deex tokens. 3rd place (for turnover from 150 000 to 180 000 tokens) – 45 000 deex tokens. 4-6 places (for turnover from 100 000 to 150 000 tokens) – 15 000 deex tokens. 7-10 places (for turnover from 50 000 to 100 000 tokens) – 10 000 deex tokens. The final list of winners will be published via the official Deex resources within 10 working days after the end of the competition. Rewards will be paid within 7 working days after the end of the contest for the accounts specified during registration. The registration form is available here. So, go on! Victory will go to you. Risk warning: Сryptocurrency transactions are subject to a high level of risk. You can use a variety of trading strategies that can not only make a profit, and lead to loss of funds. This is especially important to consider when participating in trade competitions. Please trade carefully. DEEX will make effort to protect traders from manipulation when trading with assets, but will not be responsible for your investment losses.